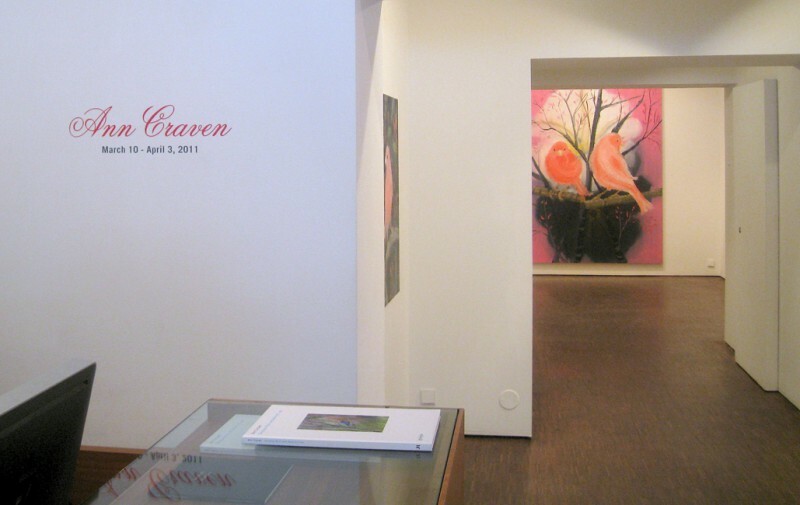 Galerie Forsblom is pleased to announce an exhibition by Ann Craven, her first solo exhibition with the gallery. 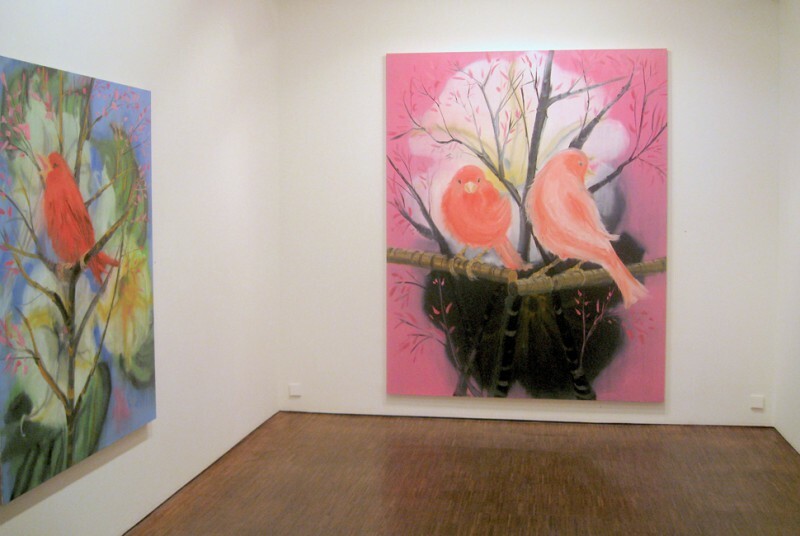 Ann Craven’s paintings seduce with their color, light and imagery. At the same time, Craven’s work addresses the many paradoxes that are intrinsic to a world that is saturated with images, and in which images become inseparable from reality. 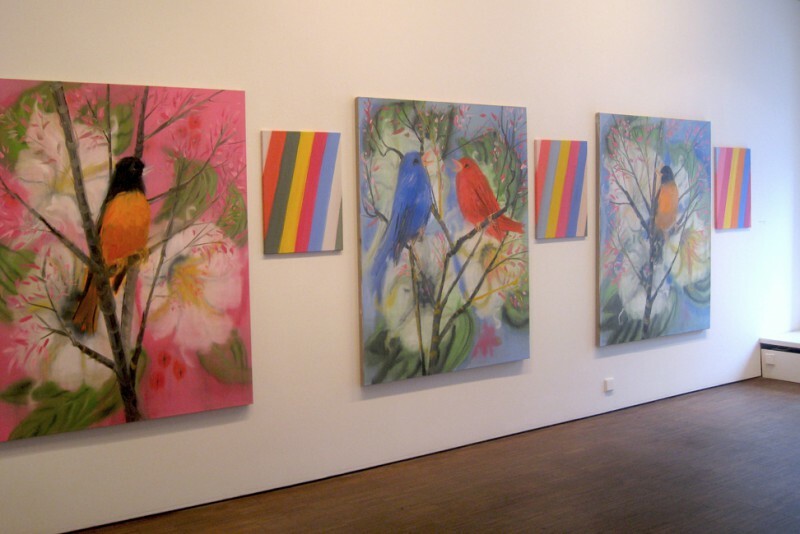 Her symbolic subjects, like birds and flowers, are often drawn from popular sources like field guides or nature books, sometimes painted from observation. 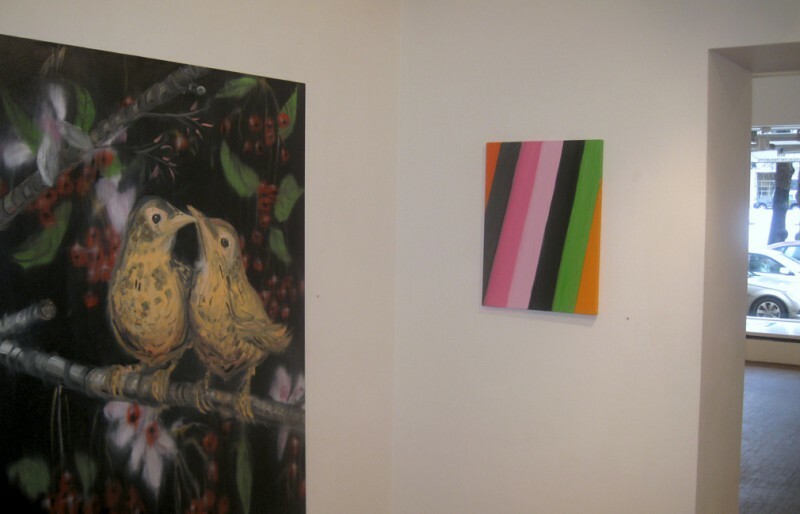 The images in the paintings can be likened to actors in a play or an opera. They express human situations and feelings. 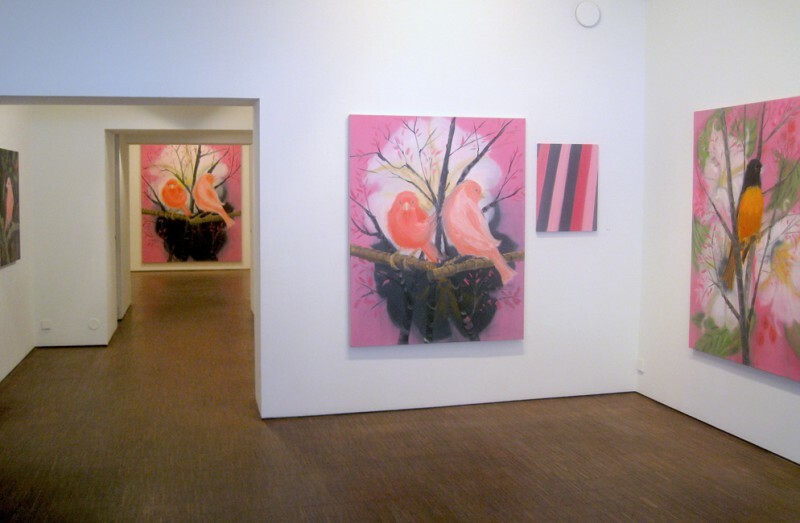 Craven’s use of repetition is an important element in her painting process. She expands her brushwork from painting to painting, creating variations in each repeated performance, raising complex questions with each variant about originality and meaning. 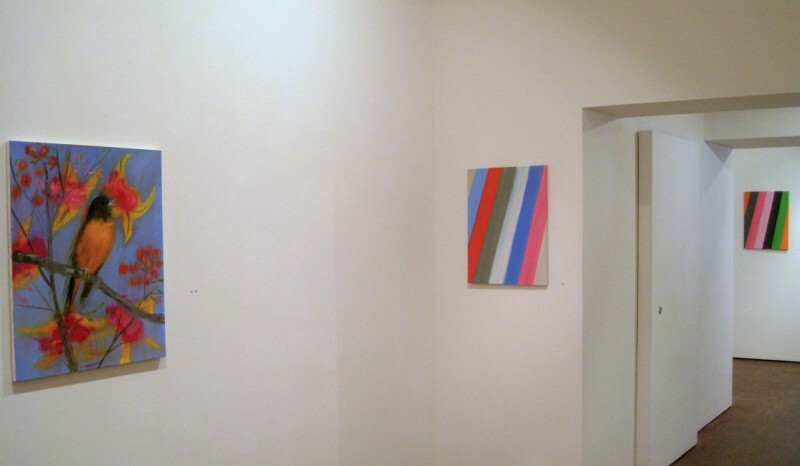 Included in the show are Craven’s “stripe” paintings. 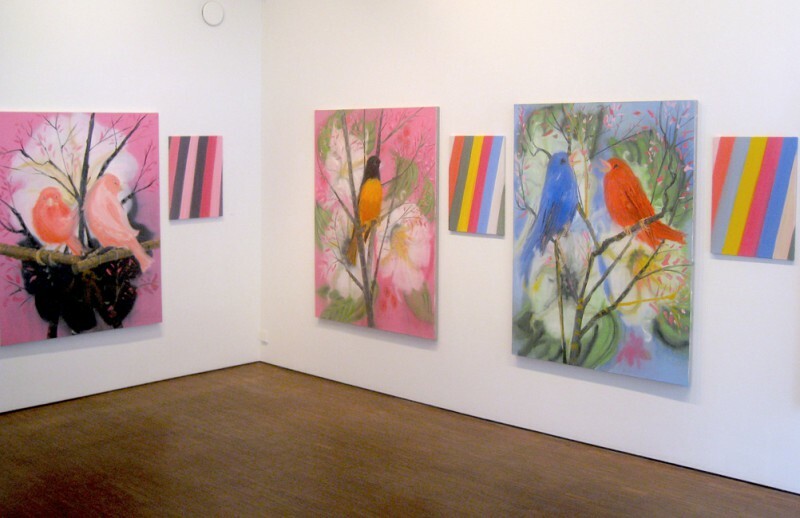 Using the extra paint on her palette after a painting is completed, these small canvases are keynotes for the entire exhibition and act as negatives to a positive – abstractions that prevent any simple reading of her paintings as representations. Ann Craven lives and works in New York City. 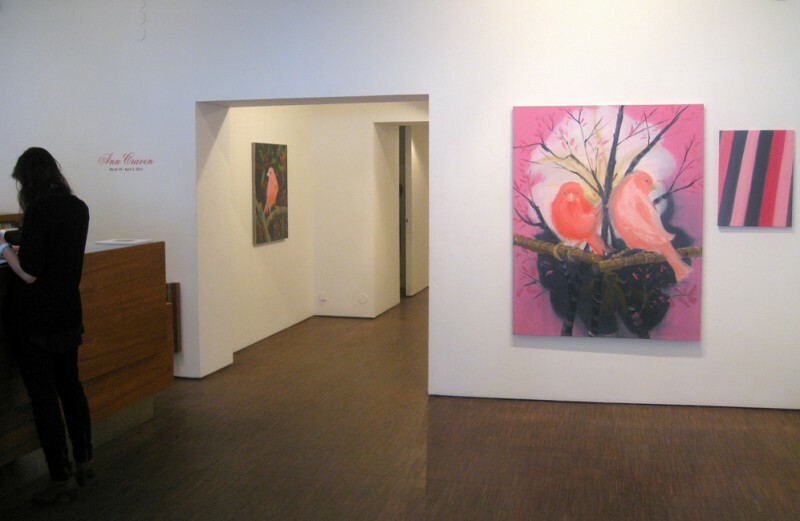 Her last solo exhibition Watercolors 2005-2010 was at Maccarone Gallery, New York. Her works can be found in the collections of The Whitney Museum of American Art, The New Museum of Contemporary Art, both in New York, the Museum of Contemporary Art in Miami Fl, and Henry Art Gallery, Faye G. Allen Center for the Visual Arts in Seattle.